Tab-tastic! Blackboard now has staff specific resources! We’ve received many suggestions from both students and staff over the years in relation to the development of Blackboard and its customisation. Since the University acquired the Community Engagement component for Blackboard in 2013 we have been able to tailor the online experience for all different users across the institution. Since the summer you will have noticed the enhanced information, tab areas and the more appealing visual look to the VLE overall. 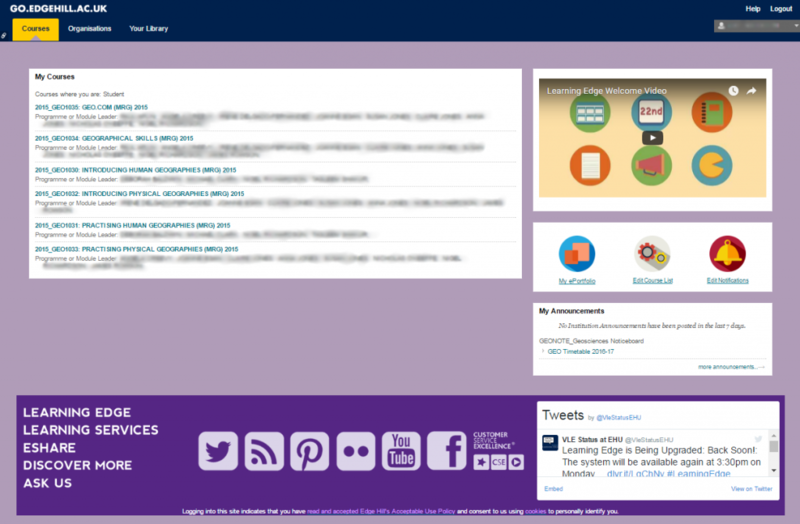 One of the tabs we added was specifically designed for University Staff. When you go into Blackboard, you’ll notice a new tab labelled ‘Staff’. This area features a range of useful resources with useful e-learning information, staff development, recent topics, user guides, including a best of TEL spotlight showcasing examples of good teaching practice. There is also enhanced help for faculty specific areas, with additional sub tabs embedded at the top of the staff ‘Tab’. Here you can gain access to targeted information and also view your Learning Technologist contact details. As this is a new feature for staff, we are always looking for your feedback into its future development. With this, you may notice we have added a ‘Staff Tab Feedback’ item on the right side of the page. Here you can send us any suggestions or ideas by clicking on the small plus icon in the corner. We hope you’ll find the tab useful and we look forward to hearing your comments and suggestions soon! Hey folks, we’re doing a live webinar session on Wednesday 15th Jan to give you the very first look of how our new Blackboard add-on ‘Community‘ is going to look like. Click below now and bookmark ready for tomorrow!